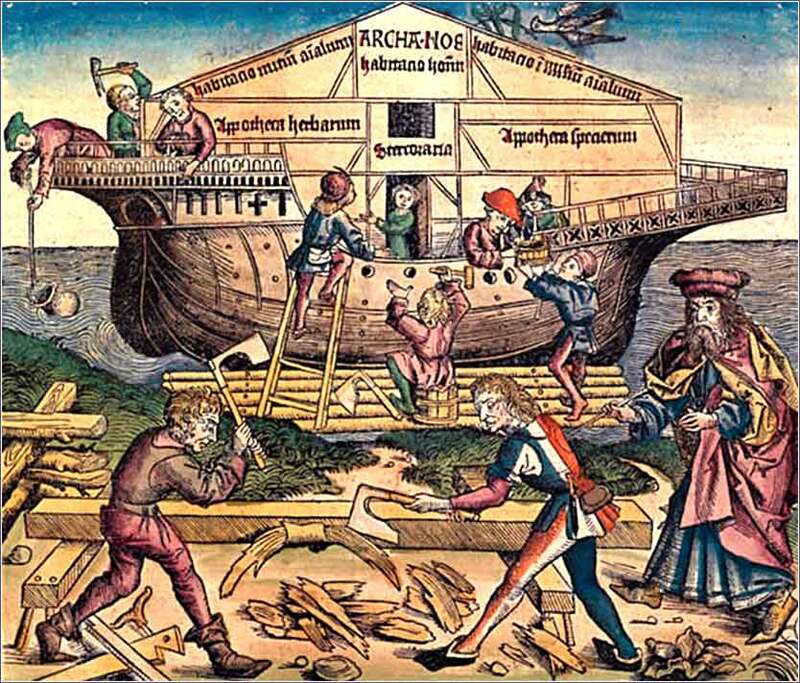 Archa Noe (Noah’s Ark) from the Nuremberg Chronicle, a paraphrased Bible, ca. 1493. Oh holy Christ, I thank you and love you for seeing who I really am. You know things about me that I don't even know myself, for you see with the clear eye of God, and not through the psychological tangle of human emotion and self-deception as others see me and I see myself. I most especially thank you, I fall upon my knees in gratitude, that you love me despite all of the sin and ugliness you see in me. You can see my beauty and heart, also, though, and love me as nobody else possibly could. Like a father, you love me. Like a perfect brother, you love me. Knowing that you see me so clearly, and yet love me enough to suffer torture and death to save my soul, transcends my comprehension. I would be sick with shame, except that you have forbidden it, and by the power of God forgive my wrongdoing. I give myself to you wholly, freely; every part of me blesses you. Take me to your bosom, holy Christ; let me live your love and reflect your light, that others may see a dim reflection of your magnificence in my lowly life, and that despite my many grievous faults, I might please you by doing better today, and every day. And this I vow: I will try, at least once today, to take a step closer to you, by the power of the Holy Spirit. 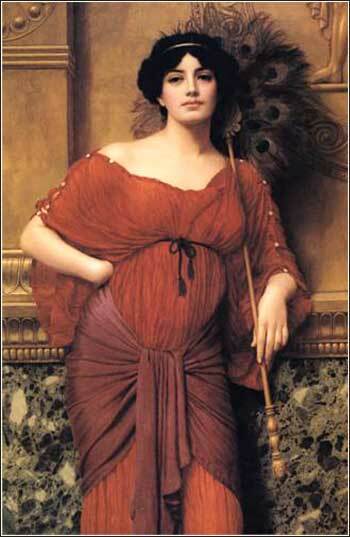 Bathsheba by John William Godward, ca. 1905. Then King Solomon swore by the Lord, saying, “God do so to me and more also if this word does not cost Adonijah his life! Now therefore as the Lord lives, who has established me and placed me on the throne of David my father, and who has made me a house, as he promised, Adonijah shall be put to death today.” So King Solomon sent Benaiah, and he struck him down, and he died. What in the world is going on here? Did Solomon not promise that Adonijah might live? It seems here that he has done three serious wrongs in a single, rather Machiavellian, act: First, he promised to allow Adonijah to live and then killed him (almost immediately); second, he broke his promise to Bathsheba to do whatever she might ask; and third, he committed murder. Our first problem in answering these questions is that we have run smack into the difficulties of Old Testament translation and interpretation. Often motivations are not fully given, details omitted, or meaning has become fuzzy (or been lost completely) over time. We might compare it to a photograph from the mid- to late-1800s. When you see such a photograph, the people look, well, weird. Their eyes bug out, they almost always look severe and stern and stiff as a board, their mouths are always closed, etc. There are reasons for this. They had to sit still for a long time without blinking, for example, which is why their eyes look buggy. That said, in this instance we do get good guidance from the text and we can make a very good conjecture at Solomon's justification for killing Adonijah. Israel was decidedly Oriental; the accepted policies regarding royal succession were closer to those of Persia (where a new king might slaughter dozens of brothers) than Germany or France. Western Europe was still barbaric in 1000 B.C. ; but still, its nations did not have and would never develop royalty with the godlike supremacy of an Egyptian Pharaoh or Persian king. To marry the concubine of a former king was forbidden, an outrage; the only person who might do so was a successor king. Adonijah's request to be “given” the famous last concubine of David amounted to a resumption of his campaign to usurp the throne. It could only be seen as a preliminary to civil war. Solomon's promise was: “If he will show himself a worthy man, not one of his hairs shall fall to the earth, but if wickedness is found in him, he shall die.” (1 Kings 1:52) We are not making excuses for Solomon; he and David did terrible things. Here, though, he is justified in killing Adonijah. It is not a breach of his promise, and it is not murder, for Adonijah's attempt to unseat the anointed king of Yahweh is a sacrilege. As to why he would tell Bathsheba he would grant her request, and then immediately refuse it, the best explanation was that the Hebrews were “men of their word” but only if they took a solemn vow. Solomon's words were not a promise, but a pleasantry and an indication of Bathsheba's high status, both officially and from personal affection. Notice that he bows to her and seats her to his right — very, very high honors from a king.